My mum bought me this jewelry box when I was little. 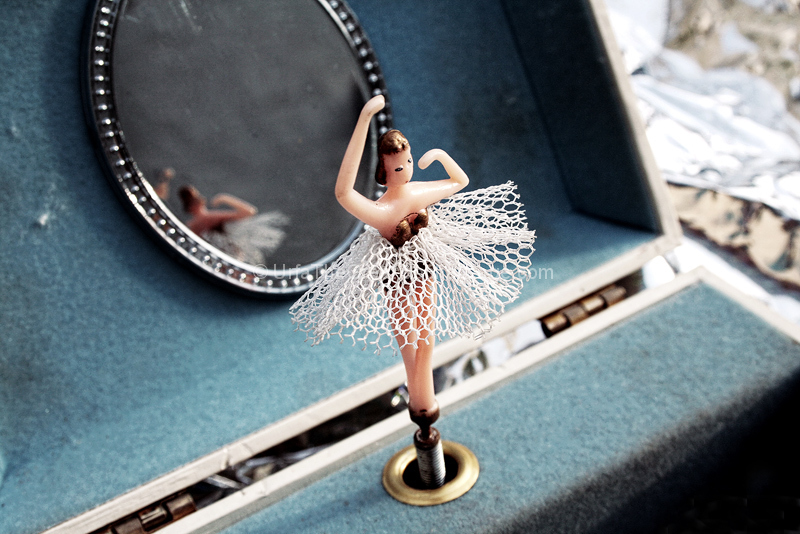 I was always fascinated with the dancing ballerina and the gentle music that came with it. It still works! Good lighting and use of DoF to highlight the subject to stand out in the scene. Very nice entry for this challenge. I would suggest trying this in a portrait orientation, so that you can avoid the distracting elements on the right side. I'm enjoying the reflection and the dusty imperfections of the blue lining that convey a sense of time passing. Light (window?) adds dimension. Might have been stronger if the background in upper right could have been uniform. Proudly hosted by Sargasso Networks. Current Server Time: 04/23/2019 12:39:12 PM EDT.